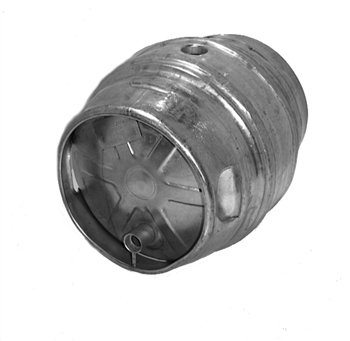 #10117 British made stainless steel refurbished cask. Highest quality S/S manufacture. Slightly bigger than a firkin: 12 US gallons as opposed to 10.8 US gallons. Dimensionally only about an inch taller and wider. Cleaned and tested for leaks, volume and dents. Uses the same shive and keystone as firkins and pins.